Little, Brown Books for Young Readers, 9780316350235, 256pp. Discover the daring aviation pioneers who made the dream of powered flight a reality, forever changing the course of history. Lawrence Goldstone is the author and co-author of more than a dozen critically-acclaimed books for adults. Goldstone has appeared on NPR, PBS, and C-SPAN, and his writing has been featured in The Wall Street Journal, The Boston Globe, and the Los Angeles Times, among others. This is his first book for young readers. 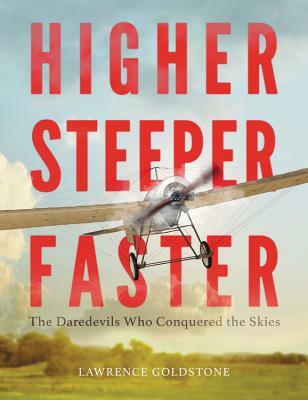 *"For those who love history, aviation, or stories of great daring, this is pure pleasure." "Armchair thrillseekers will settle in and read this one straight through."